Quick, I say college spring break, and what's the first thing that comes to mind - alcohol, parties, and coeds gone wild? What if that image changed to wishes, dreams, and service to others? That's exactly how many college students spend their break these days, and I recently led a group of 13 from the State University of New York at Geneseo (SUNY Geneseo) on a service trip to Give Kids The World Village. 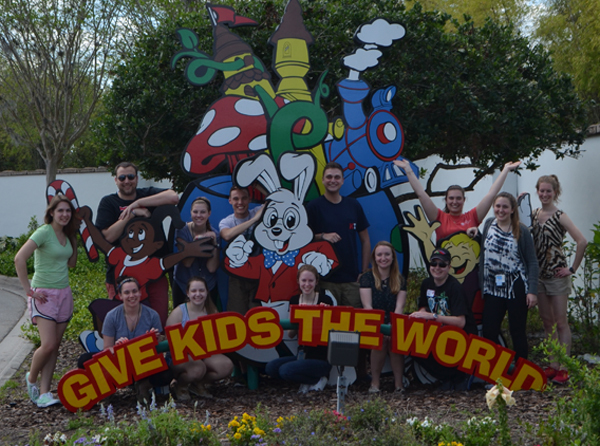 Give Kids The World (GKTW) is the whimsical, non-profit resort in Kissimmee, Florida where children with life-threatening illnesses stay with their families when they have a wish to visit Walt Disney World, Universal Studios, SeaWorld, or anything related to Central Florida. 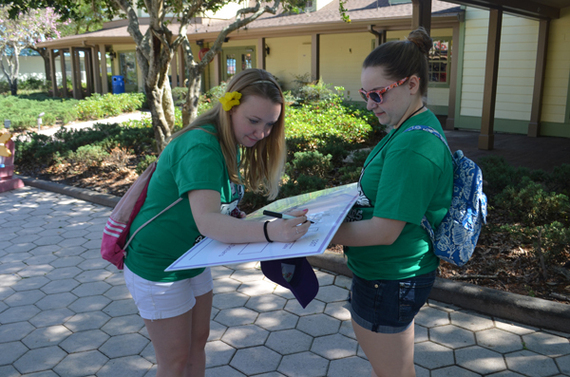 Founded in 1986 by Holocaust survivor Henri Landwirth, GKTW allows families to escape for one week on a cost-free restorative vacation. "It warms my heart to see these wonderful young people giving back to others and helping these precious children, especially when they have competing choices like going to the beach or traveling. In addition to the extremely important help it gives us to make this place run, it is great for the children and families to interact with the students, and I'm sure makes a lasting impression on the college kids as well. It is an experience neither side will ever forget, and these alternative spring break programs have become a vital part of Give Kids The World. We will always be appreciative of every student who helps." 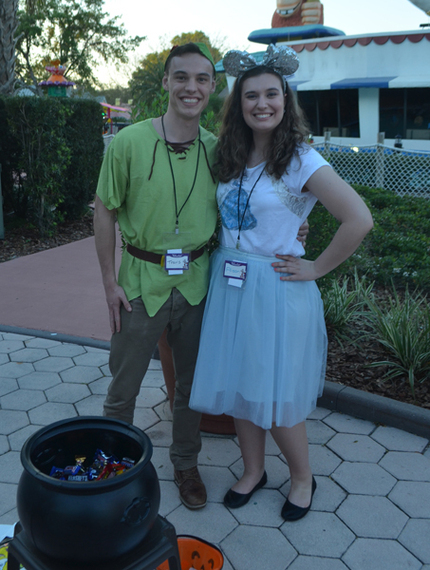 During our alternative spring break, we served meals, scooped ice cream, drove trains, painted faces, and staffed evening entertainment including the weekly Halloween and Pirate & Princess parties. Our service work didn't take much effort, just time and caring. "Nothing we did was very difficult or complicated, but meant so much to the families," remarked Travis Wheeler, junior from Rocky Point, New York, "most of the time all we had were Popsicle sticks, glitter, and glue, but it brought so much joy and happiness to the families." "The first time I stepped onto Give Kids The World property 3 years ago, I knew it was special but I didn't know just how special. Seeing the happiness we can bring by giving the kids a magic pillow or taking them on a train ride puts my life into perspective. One of my favorite parts of volunteering at GKTW is watching parents see their kids happy. Families never stop thanking us, but I always feel like I'm the one who should thank them for letting me be part of something so special. Since I started going to Give Kids The World, it has helped shape my career plans as well as my outlook on life, and volunteering with other students has created friendships that will last a lifetime. I count the days until I am able to go back to the Village again!" 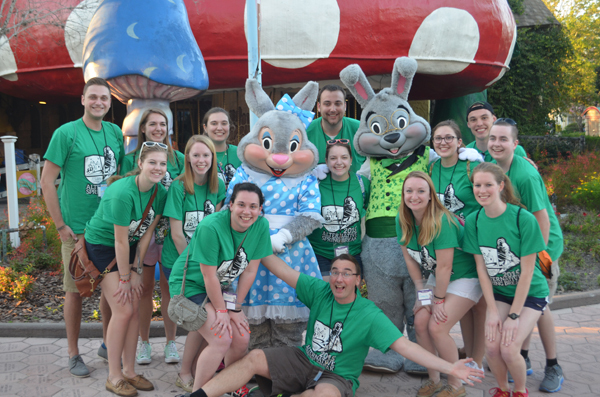 In GKTW founder Henri Landwirth's book Gift of Life he says, "Today is the day we must choose to make a difference," and that's just what these students did for the families at the Village. We spent our spring break bringing smiles, memories, and happiness to a few families, and made a difference. If you'd like more details and photos from our alternative break trip to Give Kids The World Village, check out this post on Adventures by Daddy.